Coffee is Good for Business - Cathy Kuzel - OWBN • Oceanside Women's Business Network • Parksville, B.C. Business is built on connections and relationships – not just texts, emails or a phone call. Inviting someone for coffee can create new opportunities. If you do it right, the benefits can outweigh the ‘extra time’ it will take out of your day. Leave it up to chance, and all you’ll get is another debit on your coffee card. 3 Reasons why Coffee Meetings are good for business. 5 Points to keep your Coffee Meetings casual but controllable. How to leverage your meetings to acquire clients, referrals and ultimately grow your business. This engaging and high energy session will provide you with specific tools and words to be able to “brew” your business. Implement this knowledge to set yourself apart from other ‘coffee dates’, make the most of your valuable time and get people talking about you and your business. 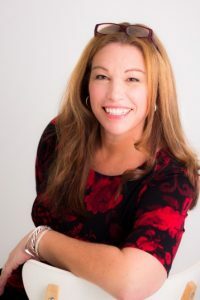 Cathy’s passion and dedication to helping entrepreneurs succeed also extends to her current position as Sales Expert at Small Business BC, her involvement with the Womens’ Enterprise Centre, Futurepreneurs, Junior Achievement, and her community. Her purpose is to help you STAND UP and STAND OUT in your business. In addition to coaching clients in her private practice, Cathy is also the founder of The Connected Woman Association, an organization supporting entrepreneurial women that encompasses many industries, levels of experience and diverse backgrounds that allows women to go “Beyond the Business Card”® to build strong personal connections resulting in even stronger business alliances.